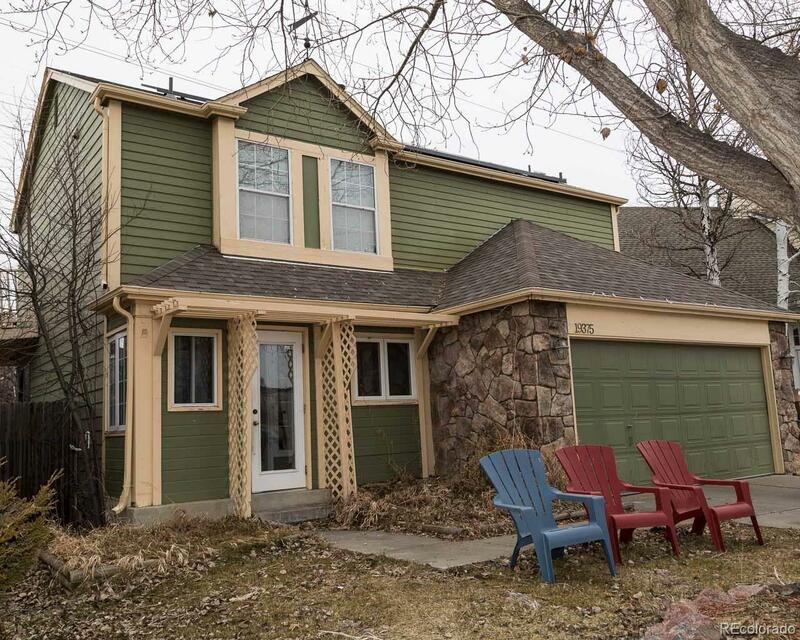 19375 East Linvale Place Aurora, CO. | MLS# 2449970 | Assist2Sell Piele Realty | Full Service With Savings! Welcome Home! Walk Right into the Open Concept Family Room That Flows Directly into the HUGE Oversized Kitchen with Granite Countertops with Undermount Sink, Newer Stainless Appliances with Double Oven, and Oversized Fridge! The Home Backs up to Rare OPEN SPACE, Features SOLAR PANELS to Keep Electric Bills low, Walk Out Balcony from Master Bedroom Overlooks an Amazing Water Feature, 5 Piece Spa Like Master Bathroom with Oversized Tub, Newer Washer and Dryer Included! This 4 Bedroom 4 Bathroom House sits in the Remarkable Seven Hills Neighborhood home of the Award Winning Cherry Creek School District! All Large Rooms have Huge Queen Sized Beds and Oversized Furniture and Still have A LOT of Space! Smart Home Features Included August Smart Lock, Nest Thermostat, Ring Door Bell, Rachio Sprinkler! This HOME is a MUST SEE! Zillow Zestimate is $384,293! This Home is a DEAL!! All information deemed reliable Buyer and Buyers Agent to Verify all information.